The college presence in downtown Athens can be a little overwhelming in the restaurant business. But at Ted’s Most Best, there’s a wonderfully wide mixture of happy faces nibbling on (okay, face-first devouring) authentic Italian cuisine. The restaurant has an expansive patio, plenty of craft beer, no TVs, bright streams of colorful lights, fresh food, and good company. At Ted’s, it’s as simple as that. 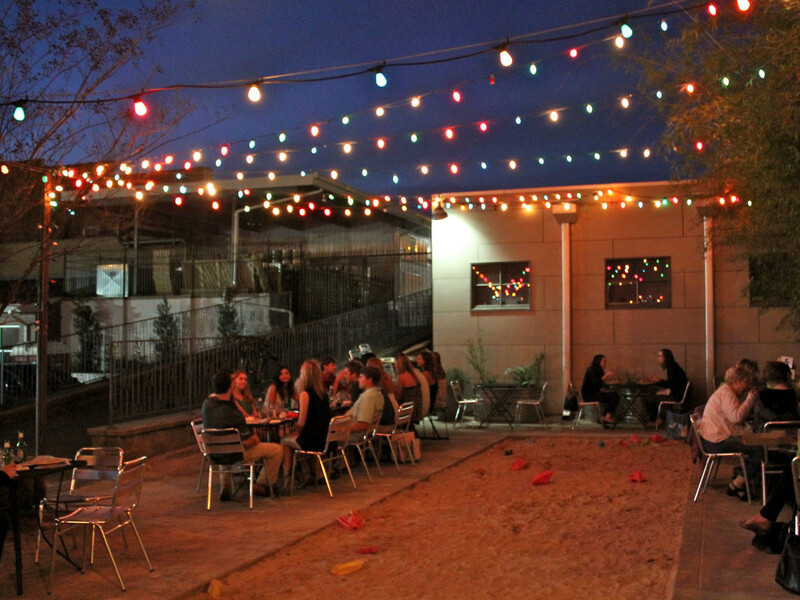 Co-owner, Jessica Greene, saw a lot of potential to open a restaurant in the abandoned tire storage garage right across from the 40 Watt music venue and other bars. 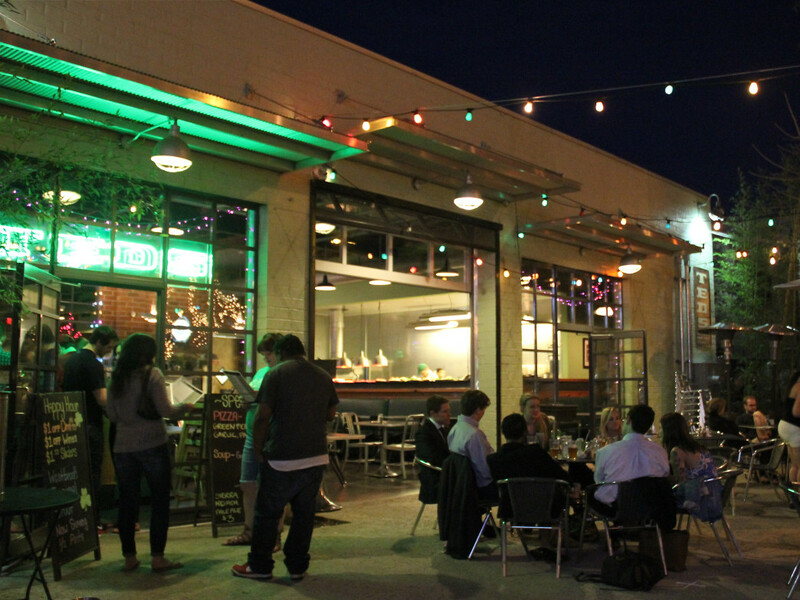 Some of the storage building’s original features, such as a large sliding garage window, were retained within the restaurant to promote openness to the patio. And in 2011, Ted’s was awarded the Outstanding Rehabilitation Award by Athens-Clarke Heritage Foundation. Named after Greene’s late husband, Ted's honors their lasting memories together with a contemporary and upbeat atmosphere. As for the food, Ted’s offers California-style artisanal Italian cuisine made with fresh, local ingredients and authentic recipes. A wide range of unique toppings are offered on any custom-made dish, and the traditional stone-oven pizzas and sandwiches are guaranteed to satisfy any carbohydrate craving. Some of the most popular menu items include the meaty Muffaletta sub, the Florentine and Perrella pizzas, the bacon and egg pizza (trust us, it works! ), and the artichoke heart salad. Ted’s also offers homemade cheesecakes and desserts all created from scratch. Head manager and chef, Pedro De Paz, says that Ted’s “has a very good atmosphere. You can have a conversation without it being super loud and there’s room for everybody. 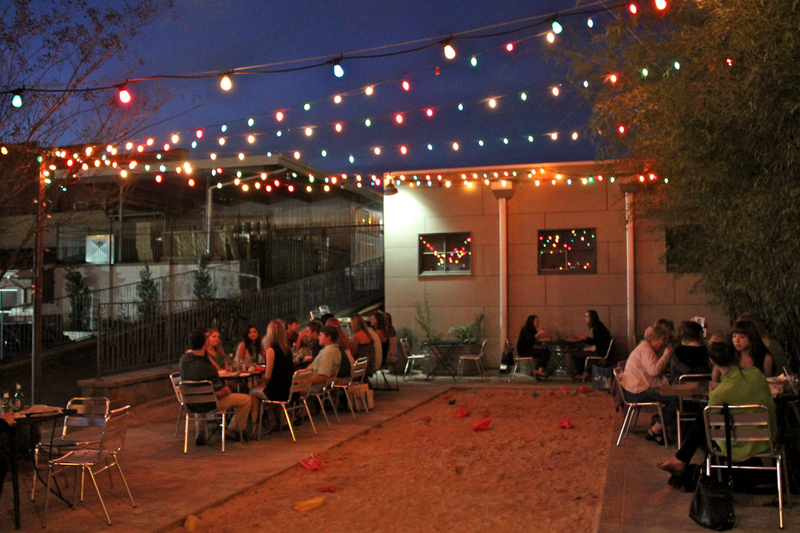 Our patio is our number one thing.” Out on this patio, there's fun for everyone. Sidewalk chalk and sandcastle making will keep the kids busy, while adults can play a friendly game of bocce ball in the sandpit. During the weekdays the restaurant is quieter and offers the perfect place to relax and work on the sunny patio. Happy hour is from 3-6 pm and offers $1 off all beer and wine. The restaurant only serves craft beer and switches out the draughts every season, and there is even a coffee bar and a selection of bottled Italian beverages. For visitors who bike to the restaurant, there is an ongoing $2 draft deal. According to De Paz, “we call it the spandex discount.” There are also nightlong happy hour discounts for club sports and leagues who come in after a game. 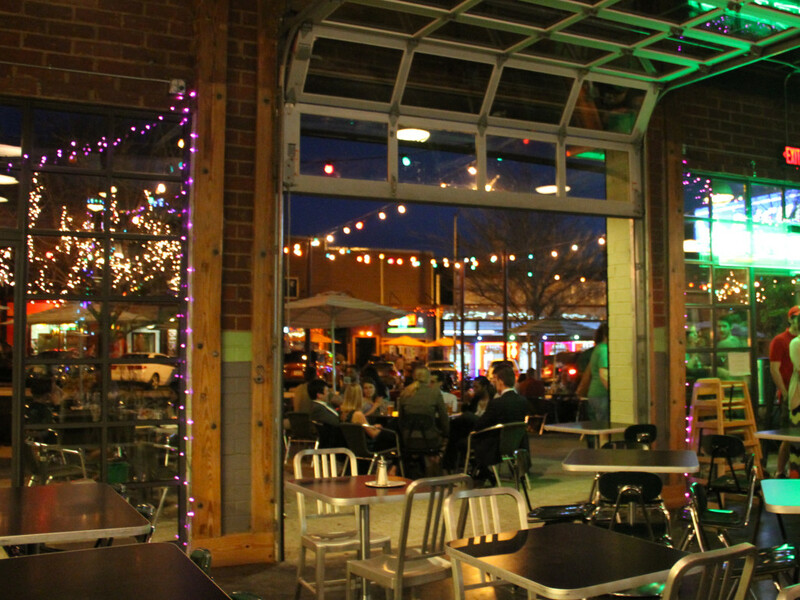 Ted’s is located on W. Washington Street in the heart of downtown Athens. The main outdoor stage for Athens’ summer festival AthFest is located right next to the restaurant. The peerless Creature Comforts Brewery is also next door, and in fact was a rehabilitated project from the same tire company that Ted’s remodeled. Anytime there is an event going on downtown, Ted’s is a sure place to grab a meal. Lines still might be long, but the restaurant is much larger than other standard eateries nearby. Ted’s is open from Mon-Wed 11a-10p, Thurs-Sat 11a-11p, and Sun 12p-10p. Is Turkeyfoot Falls the Best Spot in Bankhead National Forest?